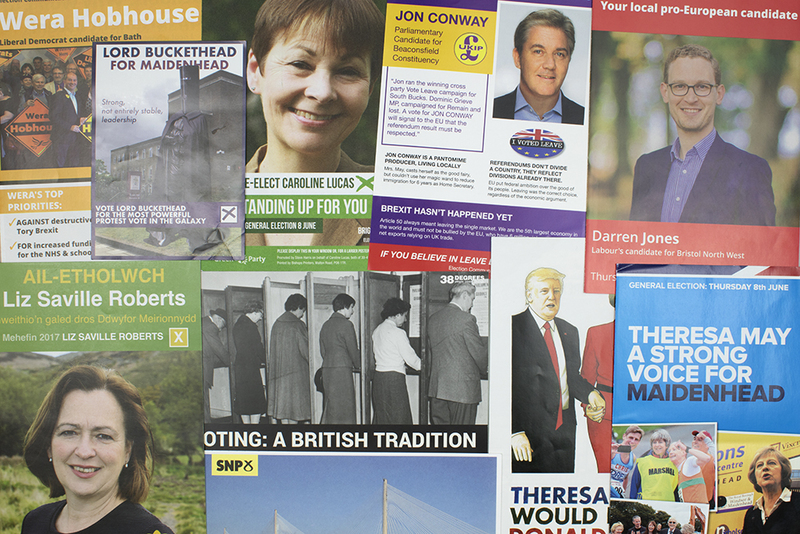 Our Politics collection includes the largest and longest-established collection of election addresses and campaign literature relating to UK Parliamentary elections dating back to the 1890s, with some examples from even earlier. We also hold material from the London County Council and European elections along with campaign literature from other important national plebiscites such as the 1975 and 2016 referendums on membership of the European Union. These collections are used regularly by students, researchers, journalists, political activists, and members of the public. We would like to take this opportunity to express our gratitude for the efforts of all those who responded to our appeal to send in their election leaflets from throughout the country. We would not be able to maintain such an excellent collection without your contributions. This entry was posted in Uncategorized and tagged #GE2017, 2017, flyer, General Election, leaflet, politics on June 8, 2018 by Jamie Carstairs. Thank you for the #GE2017 flyers! 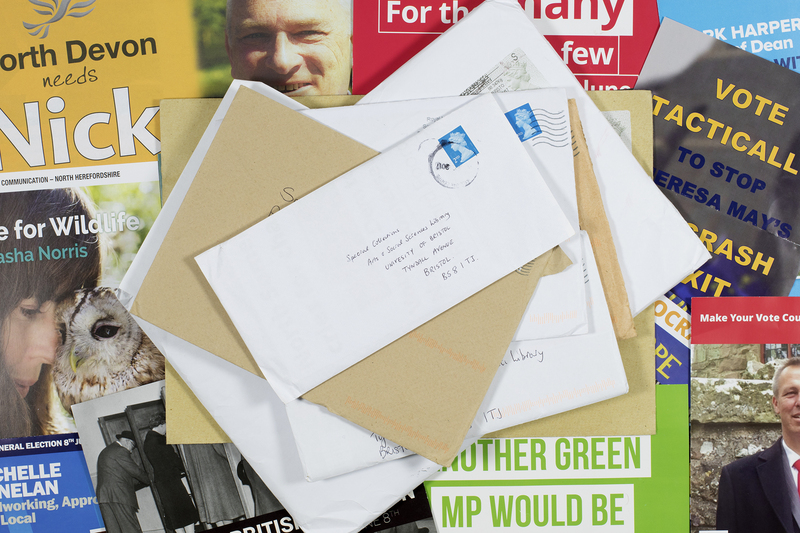 First of all we would like to say thank you to all of you who answered our call to send us election leaflets sent out by some of the c.3000 candidates in the 650 Westminster constituencies from Aldershot to West Dunbartonshire, via Foyle and Ogmore. We have been delighted with what we have received so far, and are beginning to sort the materials out and catalogue them. Materials have been scooped up from door mats and popped in envelopes, or attached as pdfs on emails. We have appealed by email, local radio, twitter, press coverage and more. We have collected and read manifestos and leaflets, been engaged by political discussions, voted, stayed up too late watching results, and watched the outcome and formation of the new government. We are sure that you have done the same, and hope that our collection will make it easier for people to see in the future what the main issues were during the June 2017 General Election. Watch this space for some of the delights we have, and remember if you find an election leaflet for 2017 consider sending it to us rather than popping it in the recycling. The catalogue reference for the 8th June 2017 General Election is DM2734. Our political collections in Special Collections are open to all, so do get in touch. This entry was posted in Uncategorized and tagged #GE2017, flyers, General Election, leaflets, politics on July 7, 2017 by Jamie Carstairs.